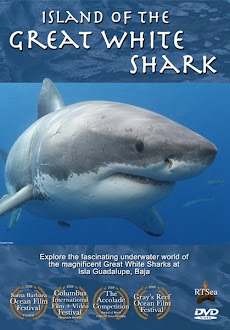 Shark Diver : Shark Diving : Swimming With Sharks: I was surrounded by bull sharks! I was surrounded by bull sharks! I just got back from my 4th annual trip to Fiji, diving with the "BAD" (Beqa Adventure Divers') bull sharks of the Shark Reef Marine Reserve. It is an unbelievable experience to be surrounded by lots of these awesome predators. What really fascinates me is not the sheer number of sharks though. The really interesting part is that I'm starting to recognize some individual sharks, not only by distinctive marks on them, but by their behavior. Doing a lap, showing everyone that she got a tuna head. 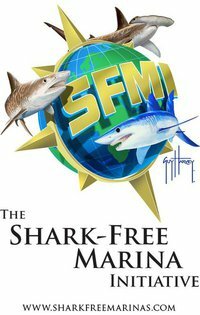 Anyone thinking that "a bull shark is a bull shark" should come to this place and see for themselves. These sharks have very different "personalities", some very mellow and cautious, others not so much. Of course you need to do more than just one or 2 dives to notice these differences. The first few dives your are simply going to be blown away by the sheer number of sharks and and by how close they'll get to you. Common wisdom holds that when it comes to sharks, size matters. The big shark always wins over a smaller shark. What I found is that this is not always the case. Some sharks think they are a lot bigger than they really are and compete with the bigger sharks for the tuna heads on offer. "Top Sail" for example is not one of the bigger sharks, but is very adept at getting more than her fair share of tuna heads. Top sail getting a tuna head. Another thing that totally surprised me is how cautious these sharks are, even when food is offered to them. Some sharks will not approach the feeder who's holding a tuna head and some sharks will only take a tuna head from a specific feeder. I would have thought that these bull sharks would pretty much go for any tuna head that is offered to them. If all the bull sharks are not enough for you, just when you think the dive is over, there is the safety stop. Far from a boring hanging on to a line, waiting for the 3 minutes to pass, you are face to face wit a bunch of hungry white- and black-tip sharks, being fed by one of the divemasters. I'm still very partial to "my" white sharks at Guadalupe, but I'm getting more and more taken by the bull sharks of the SRMR and can't wait for next year. Sam face to face with a hungry white tip shark. Thanks to all the guys at "BAD", (Beqa Adventure Divers) for your hospitality and another unforgettable trip. You are simply the best! Vinaka vakalevu! In the coming weeks we'll be posting a special offer for next year's Fiji trip. My descriptions and pictures don't do these sharks justice. You'll have to come and experience them yourself.